Much like heart disease, there are many other ailments which can be linked to consumption of milk. 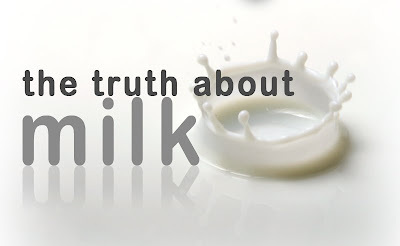 There are both adult and children problems linked to milk. We will focus on the adult problems for now, as I'll cover children in more detail in a future post. As I briefly mentioned in the heart disease post, as well as the calcium post, osteoporosis has been very strongly linked to milk consumption. This flies in the face of everything the dairy industry has been proclaiming for decades. As with heart disease, geographical evidence is very compelling when examining osteoporosis. Those that consume the most dairy are also those with the highest osteoporosis and bone fracture rates. MS is an auto-immune disease, meaning the body is attacking itself. More than one study has linked the various proteins and chemicals in dairy to adverse effects on the immune system. Not to mention all the artificial growth hormones and pesticides which end up in the milk on store shelves (again, we'll cover this in a future post). We have studied the relationship between MS prevalence and dairy product consumption in 27 countries and 29 populations all over the world, with Spearman's correlation test. A good correlation between liquid cow milk and MS prevalence was found. Once again, the artificial growth hormones and chemicals added to the milk (and the cows), have been shown to negatively effect the immune system, and even to promote cancer. Numerous studies have been done that positively link the growth hormone IGF-1 to cancer. In a prospective study (Reports, 23 Jan., p. 563), J. M. Chan et al. investigated the relation between concentrations of insulin-like growth factor-I (IGF-I) in the blood and prostate cancer risk in a sample of 152 patients with prostate cancer and 152 healthy men. "A strong positive association was observed." I only briefly touched on these various diseases and how they are linked to milk and dairy consumption. This was by no means meant to be an exhaustive post and I highly encourage you to read further. But even from what I very briefly covered here, it's clear to see that there is a positive correlation between dairy and a number of adult ailments.